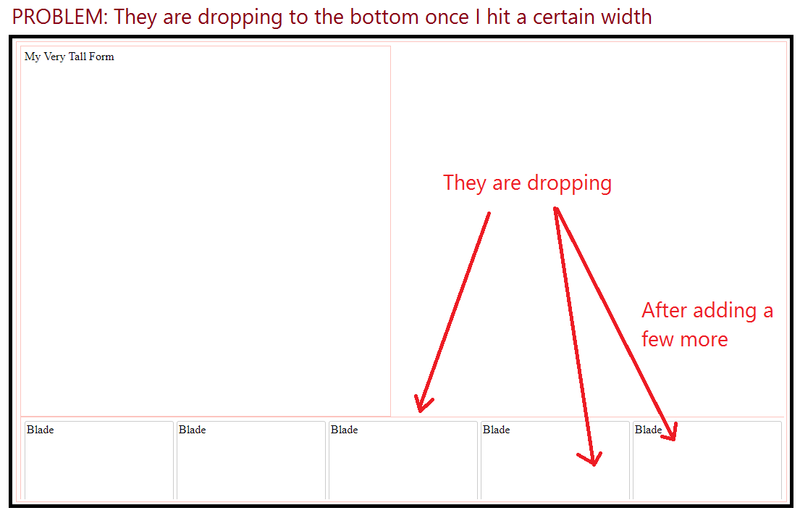 I am trying to create a 'blades' experience and my CSS isn't quite right...and I don't see why. I have given the Widgets a clear on both...and neither the Dashboard Container, nor the Blade Container have a fixed width...so I am confused. The problem is that they need to go somewhere after the screen ends, the default behaviour is to break line, you can avoid that with white-space: nowrap;, added overflow-x: scroll; so you can scroll through your elements.